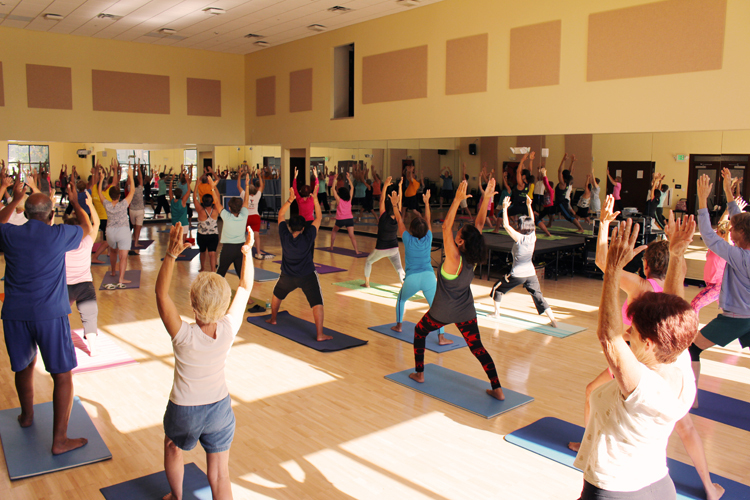 No matter what shape you’re in… there’s a fitness class for you in Kings Point Suncoast. The large group exercise room accommodates the larger fitness classes, while the smaller exercise room allows for a more intimate setting for quieter and more specialized classes. If you are thinking about moving to one of the best 55 plus communities with fitness centers, consider Kings Point Suncoast! 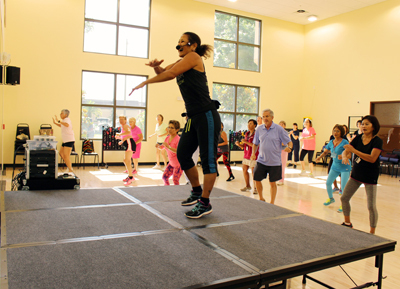 Zumba – Latin inspired cardio class filled with fun dance moves. Group Power – combines, squats, lunges, presses and curls with functional integrated exercises. Pilates – a low impact mat class that focuses on toning and strengthening the abdominal, back, and legs. Flex & Flow – combination of Tai Chi, yoga & Pilates style movements set to a variety of music to work your core, challenge your range of motion, strength and balance. Sit & Get Fit – Train the entire body using various pieces of equipment while remaining seated. Bums & Tums – a short and intense class that isolates core and gluteal muscles. Water Power Hour – total body workout using water weights for resistance to the upper body and a noodle for resistance to the lower body. Deep H20 – Designed for the avid exerciser, participant must be able to swim. Class includes treading, stroking, paddling, pedaling and more! Joint Effort – Emphasizes range of motion activities that include gentle strengthening and fitness exercises. Water Walking – Walking in the pool doing various movements with the body to get a cardiovascular and toning workout. 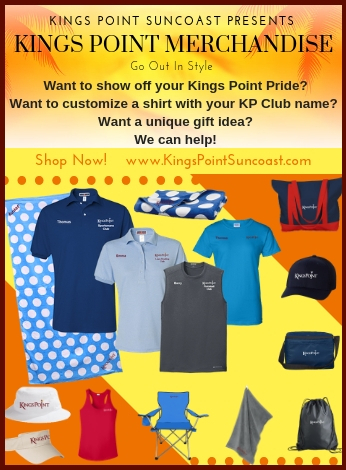 Click HERE to SHOP all merchandise with the Kings Point logo!